If you’ve lived in your home for a number of years, you’re used to its quirks. You know you’ll have to put a sweater on when you go into certain rooms and strip it off in others. You know there are drafts in certain areas so you just avoid them. 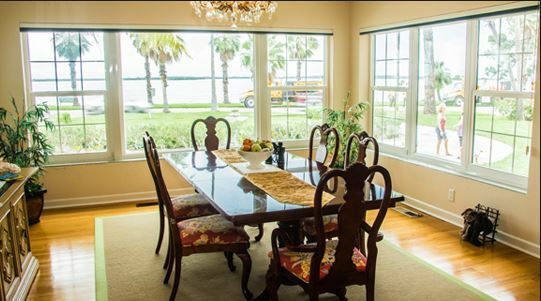 But did you know that when you get replacement windows in Tampa, FL, there are a lot of benefits? If your windows are rather old, they are lacking in a number of ways, whether you recognize it or not. Here are some of the benefits or replacing those old windows with new models. Every homeowner wants to do everything they can to be as efficient as possible. Not only will it lower your carbon footprint on the environment, but it will also lower your utility bills. As much as you might like your old windows, they are likely not very energy efficient. If your windows are decades old, they lack the technology that windows today have. If they have single pane glass, they are even more lacking. The air may be passing in and out of those windows with ease and that’s not a good thing for your comfort or your energy efficiency. If you keep up with your home’s maintenance, it will look as good at it can. However, eventually, older windows are going to look their age. If you want your house to look new and fresh again, getting new windows can help a great deal. Putting replacement windows on doesn’t just help curb appeal, but also the interior of the home. You get a new look on both sides of the wall and in every room of the house. Old windows are notorious for getting stuck closed or for being impossible to open. If your windows no longer function, imagine getting replacement windows that actually work. You can ventilate your home when you need to and if you need an emergency exit, you have the windows available for that important need as well. New windows slide open and closed like a dream and are easy to lock and unlock as well. If you need new replacement windows in Tampa, FL, you’ll have a lot more benefits than just these. But eventually, old windows are worn out and they simply must go. If that time has come for you, contact Clearwater Window & Door by calling (727) 559-7007 for a free consultation. If you aren’t sure whether your old windows are completely worn out, we’ll come take a look at them and give you our expert advice. If you’re already pretty sure and you want to get started on replacement windows, stop by our showroom at 2025 Gulf to Bay Blvd, Clearwater, FL 33765 where you can look at different styles and ratings. Whether you know what you want , we’re here to help with the project from start to finish. We want nothing but the best for your home.